With LeBron James’s Space Jam sequel officially a go, he might want to keep Quavo‘s number handy in case the flick needs a hip-hop cameo. 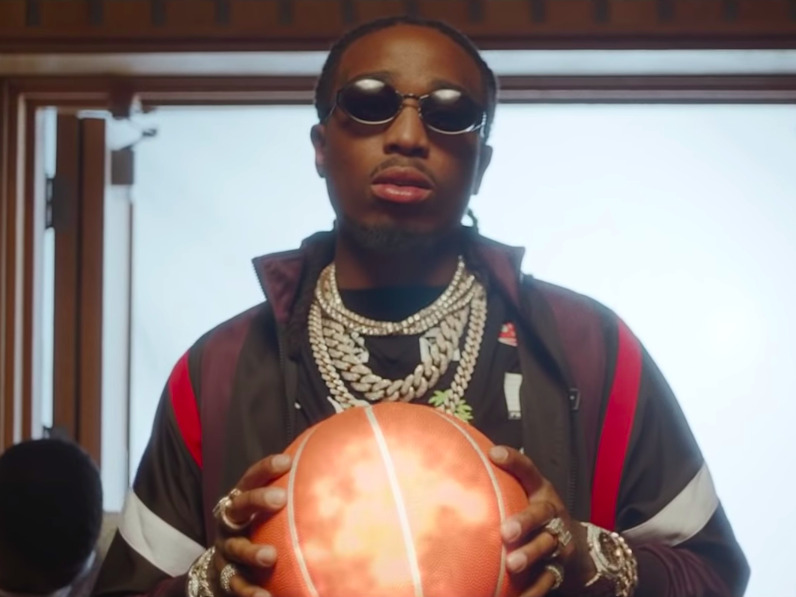 As the Migos frontman proved on Wednesday (November 21) with the release of his latest solo video, he’s a bonafide Space Jam superfan. You know where it’s going from there: the squad takes back their stolen talents and balls out on the court, as Quavo dunks so hard that he shatters the backboard. After a hilarious press conference by Coach Quavo, the team celebrates their victory by turning the court into a rowdy club. Bonus points if you can spot the rest of Migos making cameos as dunk contest judges.